A compact travel guide about Nice, France, including the city's attractions,sightseeings, museums, best spots to dine and shop, for you to enjoy. Nice is a city in France, located in the area of the French Riviera. It is a famous location among tourists, mainly due to its Promenade des Anglais (Walkway of the English), the beautiful waterfront location that attracts both young and old to this city for a fun-filled vacation. The beauty of the city lies in its ideal location near the water that provides it with amazing panoramic views of the sun set. It is this beauty that often lures many artists to Nice in a quest to find creative inspirations. As a port city, its origins can be found going back to 350 BC, when the Greeks occupied the land in the area and developed it into a trading port. In olden times, the city’s inhabitants occupied the hills at one end of the city, but today, most people live near to the sea shore. Although the local ancient language is Nissart, but most of the population speaks fluent French and if you are visiting Nice, it is always a good idea to try your hand at conversing with the locals in French. Being the fifth largest city in France by population, this urban city expands over a large area, crossing its administrative limits. 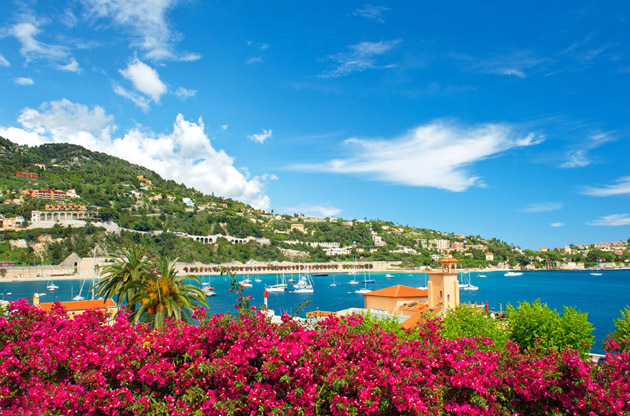 It is often referred to as Nice la Belle (Nice the Beautiful) by the local French citizens and the city boasts a mild Mediterranean climate that allows tourists to enjoy the seaside to the fullest in the summer months of June till August. Even winters in this city are considered to be moderate with sunny, cloudy and rainy days and mildly cold weather with rare occurrences of snowfall. Nice is located in the South-East of France, near the coast of the Mediterranean Sea. It is the second-largest city of France among all those situated on the coastline and by population; it holds its rank as the fifth-largest French city. How to get to Nice? Nice has one of the busiest airports in France known as Côte d'Azur Airport. The best way to commute from the airport the city is to take the airport express buses that can take you to the train station and other central areas within Nice. Whether you are here for business or pleasure, Nice offers plenty of activities for its tourist population. From museums to shopping areas and restaurants, this city has everything to keep you occupied during your trip. If you wish to enjoy an amazing view, go to the Colline du Chateau, the ruins of an ancient castle that overlooks the harbor and provides a breathtaking panorama of the surroundings. You can even climb the partially crumbling tower for a higher vantage point. Parc Phoenix: A botanical garden with a wide range of plants and animal species. Musée Chagall: A museum of art containing works from famous artists. Musée Matisse: Containing sculptures and drawings from the 17th century. Musée et Site Archeologiques de Cimiez: This museum is located wtihn the old part of the city known as Cimiez, where ruins of an ancient civilization have been found. While visiting Nice, don’t forget to take a trip to the Vieux Nice (Old Nice), where architecture from the olden days can still be seen. The main market in the old part of the city is the Cours Saleya, which sells local fresh produce. If you go for a drive around the city, you will find many of the branded shop and stores located at various areas. There are also many shopping centers, such as the Nice Etoile Shopping Center, situated in the downtown area. Most shops will accept major credit cards and if you are shopping for souvenirs; postcards, French music CDs, or designer clothes can be a great option. If you want the best value for your money, choose to make purchases from within town rather than waiting to arrive at the duty-free shop in the airport. The famous delicacy of Nice is a flatbread known as Socca. The tuna fish sandwich that is named as Pan Bagnat is also a local specialty in the city. Among other French cuisine, you can try the Soupe de Poisson (Fish Soup) and the Salade Nicoise as appetizers, the Pissaladiere (a type of pizza) for the main course and the Tourtes aux Blettes (sweet tarts) for dessert. Seafood is exceptional within Nice and if you enjoy cooking, you can find fresh ingredients form the local market. While in town, complete your trip to Nice by going to Fennochio's to sample their world famous ice cream. As the weather of Nice is quite hot, travel during the day with a bottle of water. For some nighttime fun, buy alcoholic drinks from the local supermarkets rather than the tourist spots or head to the old part of the city that contains a number of bars for the young and lively to enjoy. Although the city does not offer any official tours, Nice has a number of beaches, where you can spend the day lounging at the beach under the sun. Most beaches are easy to reach from the town but if you want to go to a beach at a distance, the local bus service can easily take you there. See the outskirts of Nice if you have time to spare and visit the little villages nearby. If you love adventure and are interested in an active lifestyle, go for a hike amid the mountains on a number of trials located there. As well as being one of the most beautiful cities in France, Nice also serves as a hub for international congresses, conferences, symposiums, exhibitions, trade shows and fairs throughout the year. The accessible venues and luxurious hotels will make your stay even more enjoyable while you are also having the chance to discover Nice.